About 2 weeks ago I got a message from Mr Thorne (off of the brilliant Mr Thorne Does Phonics) asking if I would be able to speak to a journalist about programming in the classroom. Of course I would! So I had a great chat with Peter Price (@peprice) from BBC Click and it turned out, he wanted to come and film in school. Last Friday he came in and watched as some children played with Kodu in their lunchbreak and then he watched a lesson with 2Do It Yourself in Year 5-6. Now, it could have been better. If we had been able to be in Year 3-4 we’d have probably seen game design experts, but timetables dictated we would be working with 5-6. They did well and made some suitable games and I showed them a few ways to change the code as we went along to make the character jump higher or faster. I also got a couple to play with the teleport feature too. Simon (@xannov) helped with a few ideas and I owe him a lot. To be honest, he should have had the cameras in, he does amazing things with 2DIY, so I am eternally thankful for his support. He gave me a new login to blog the finished games and I didn’t get chance, but I will add to it in future. I was also interviewed about my thoughts on ICT and programming. I am now wondering if what I said was good enough or if it was controversial etc. I spoke about the need for us to give children exciting ICT and to make it relevant and fresh. I also spoke about the fact that often training teachers is difficult because children are coming in knowing more and more each year. It’s exciting, but it can be a challenge. I was also asked why we teach game design and I spoke about the fact when we were younger, anyone could make a game on their spectrum or atari. Those days are gone, but using tools like Scratch, Kodu or 2DIY we can make games to share with others. Ok, so we didn’t code it all from scratch, but hey…it’s a start. So how much will be on the show? Who knows! It goes out on Saturday at 11:30am on BBC News 24. I’ll blog about it after and will include the iplayer link too. So a huge thank you to Mr Thorne (he doesn’t have a first name) and to Simon for their help and support. I owe you both a drink or two. Sawn the article and thought it was great, confirmed our approach to ICT. 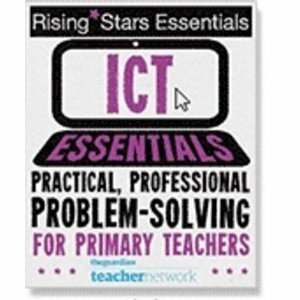 We are constantly looking for ways to extend the dull and outdated ICT curriculum. We have a range of web 2.0 tools and are composing, programming and animating across keystage 2. It’s great.